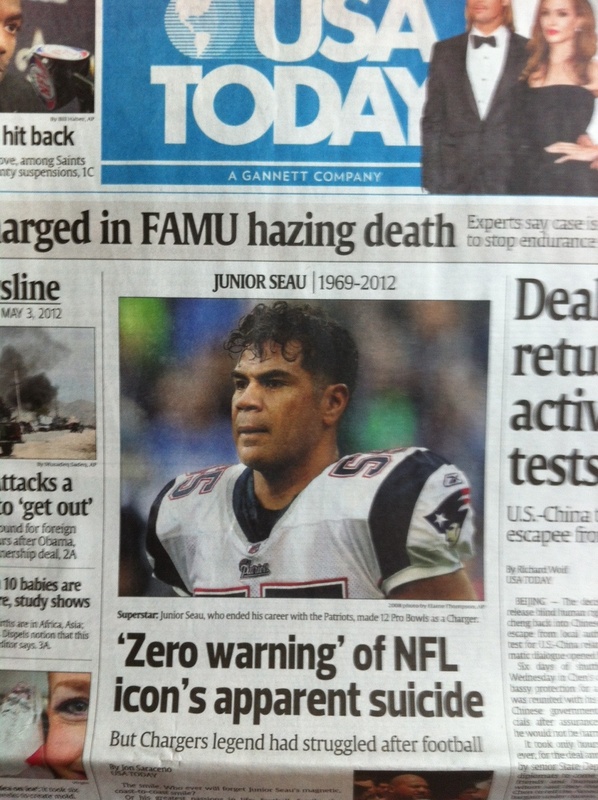 Was Junior Seau an ‘icon’ and a ‘legend’ in life, or just after his death? Death tends to bring out a tendency by journalists to exaggerate. If you had asked NFL fans last week to list the players from the decades of the 1990s and 2000s who were “icons” or “legends,” they would have named Tom Brady, Peyton Manning, Jerry Rice, Reggie White, Ray Lewis, Barry Sanders and a few others. I don’t think many would have named Junior Seau. He was a star and a probable Hall of Famer, but I didn’t think of him as an icon or legend, and I don’t think most fans did. But his suicide made him both in the front-page headline of USA Today (I stayed in a hotel last night, so it was delivered to my door). An editor asked my advice on how to respond to staff members who were using crude language and behaving unprofessionally on Twitter. The editor was planning an appropriate response, reminding the staff and the individuals involved that they should always behave professionally.